Diptera.info - Discussion Forum: Platypalpus minutus ? This little fly was on the outside wall this morning despite the cold weather. It looks like a Platypalpus with a green abdomen and a yellowish grey mesonotum. 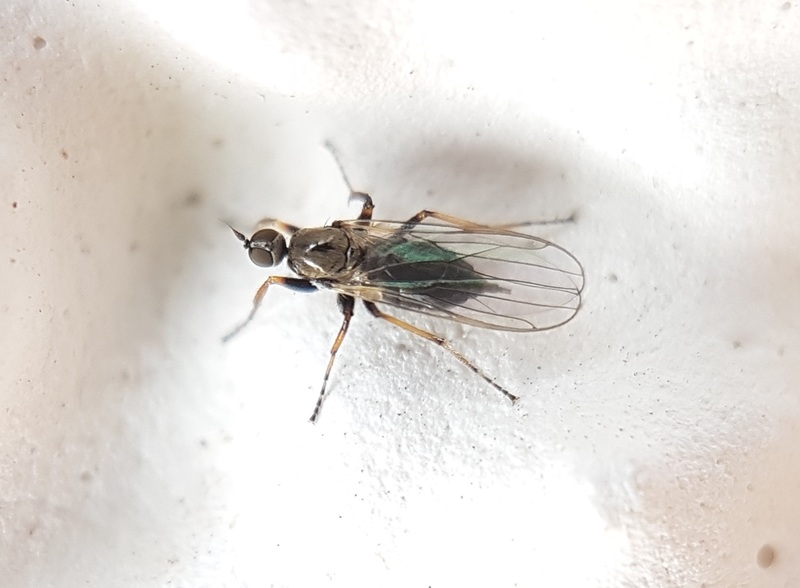 Could it be this species or P. australominutus considering the location in Southwestern France ? I would be very happy to give a name to this pretty little thing, but haven't got any answer yet. Am I wrong in thinking it is a Platypalpus ?